This Item is for 30 Moringa Tea Bags in a hermetically sealed, oxygen-free, 100% light blocking resealable pouch. Ingredients: 100% Wild Crafted Moringa Oleifera Leaf Powder in tea bags. Our moringa contains no fillers. It tastes a lot better than other brands. It tastes really good with honey. It's also good as iced tea. Why just drink tea, when you can drink to your health. 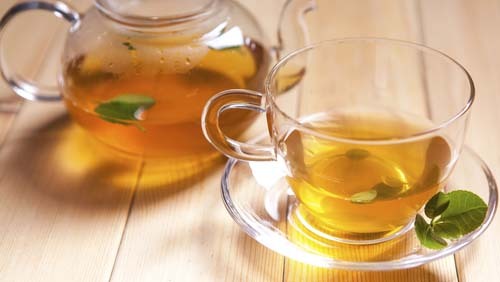 We also carry a gourmet Loose leaf Moringa tea. To read more about the benefits of moringa tea, click here. Our Moringa Tea Bags deliver all the benefits of the moringa tree in a delightful, delicious brew. Heat some water to just below 140 degrees Fahrenheit. Heating the tea above 140 degrees can destroy some nutrition. (we recommend a food thermometer for best results) and add our tea bag for a simple, extremely healthy way to start your day. Let it steep for 2 minutes and enjoy the healthiest thing you'll have all day. We only use the highest-quality moringa leaf in the world so that every moringa tea bag packs a powerful nutritional punch along with the great flavor. We believe it’s one of the tastiest ways to improve your health, and you can sweeten the tea with all natural honey, lemon, fruit juice, milk or anything you normally put in tea. for a fantastic, healthy addition to your day. Gives you a feeling of alertness all day yet it is caffeine free. Why we have the best Moringa Tea? -We use the best moringa and the best drying and packaging process in the industry. 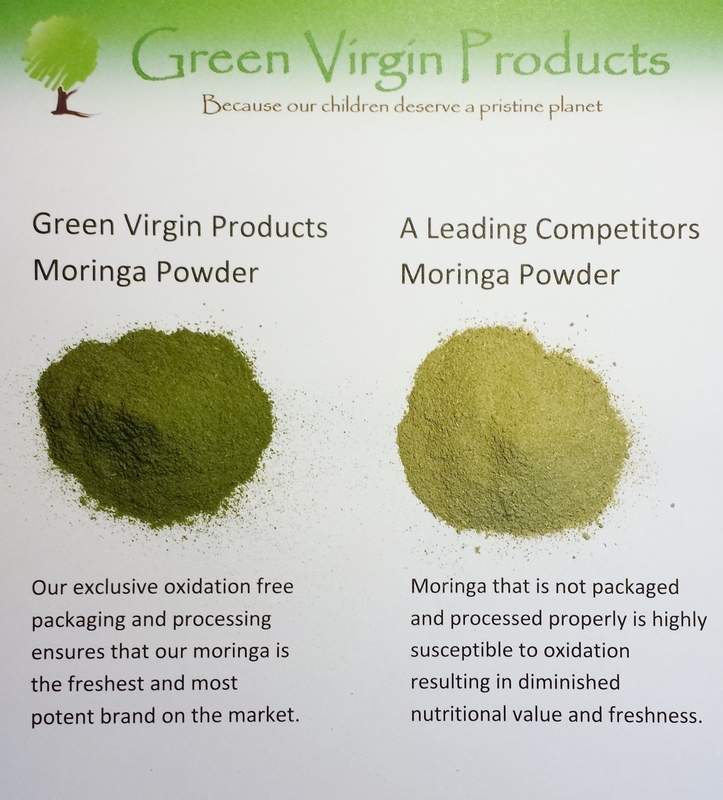 Our exclusive processing and packaging system make our moringa the most potent you can buy. -Our exclusive resealable pouch prevents oxidation completely. Oxidation destroys nutrition. -Guaranteed fresh and potent every time! -Our exclusive secret Japanese method to remove bad flavors from teas. The process does not add any flavors or decrease nutrition in any way. This makes our moringa tea the best tasting available. -Take a used wet tea bag and put it on cuts, burns, rashes, warts etc and see amazingly fast healing. Our 30 Moringa Ultimate Tea Bags are made with 100% wild crafted Moringa Oleifera leaf powder. There are absolutely no fillers or additives. This pure is Moringa goodness and you will taste the difference when you have your first cup. It has a fresh and crisp flavor that is packed with vitamins, minerals, antioxidants, amino acids and many more essential nutrients. That’s why it is quickly becoming one of the most popular teas among tea aficionados and those seeking a healthier option for their favorite beverage. Moringa tea is well known for providing a natural energy boost so it’s a great replacement for your daily coffee or energy drink and it’s one of the healthiest drinks available anywhere. 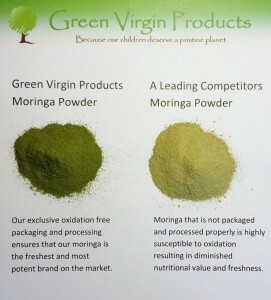 At Green Virgin Products, we have always loved Moringa tea and it is something we drink on a daily basis. Our mission from the beginning was to find the best trees with the best leaves in the world and develop a system to make sure they arrive on your doorstep as fresh as the day we harvested the leaves. We developed hermetically sealed, three-layer packaging that completely blocks light and oxygen from the tea bags. Moringa leaves are sensitive to both and will quickly lose nutritional value when exposed to either. We developed packaging that allows us to guarantee that will not happen with our Moringa Ultimate tea bags. Once you taste the Moringa Ultimate difference, you will appreciate the care that goes into every one of our exclusive tea bags. To make it as easy as possible for you to experience it for yourself, we offer free shipping on all orders over $50 and no-hassle returns if you are not completely satisfied within 90 days. We love our Moringa Ultimate tea bags and we think you will too. Order some now!